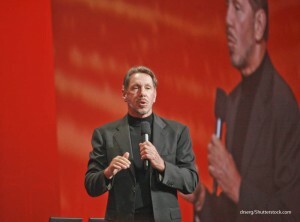 Larry Ellison- "You´ve got to be prepared for eveyone telling you you´re nuts." All you can do is every day, try to solve a problem and make your company better. You can’t worry about it, you can’t panic when you look at the stock market’s decline. You get frozen like a deer in the headlights. All you can do is all you can do. If your cash is about to run out you have to cut your cash flow. CEOs have to make those decisions, and live with it, however painful they might be. You have to act and act now, and act in the best interests of the company as a whole, even if that means that some people in the company who are your friends have to work somewhere else. We have been doing things that are contrary – the things people tell us won’t work from the beginning. In fact the only way to get ahead is to find errors in conventional wisdom. Being first is more important to me. I have so much more money. Whatever money is, it’s just a method of keeping score now. I mean, I certainly don’t need more money. Everyone thought the acquisition strategy was extremely risky because no-one had ever done it successfully. In other words, it was innovative. Bill Gates wants people to think he’s Edison, when he’s really Rockefeller. Referring to Gates as the smartest man in America isn’t right… wealth isn’t the same thing as intelligence. If an innovative piece of software comes along, Microsoft copies it and makes it part of Windows … This is not innovation. This is the end of innovation. Microsoft is already the most powerful company on earth, but you ain’t seen nothing yet. In order to grow at this pace, there’ll have to be a couple of acquisitions along the way. The tricky thing is to grow at this rate and maintain a 40 percent operating margin. Those that believe this is merely a cyclical downturn are mad. Our industry is going to mature and, as something matures, the rate of innovation does slow. I saw that we needed to grow, but our top line wasn’t growing, so we had to find other ways to grow the business. We had to reshape our business and acquire share in a nonconventional way. But most tech leaders don’t come out of a business background. They really have a very parochial point of view. All they know are the go-go years of Silicon Valley. That’s the environment in which they were raised. You have to take a broader view and realize this is an industry like any other–telecom, railroads. They went through consolidation. Why shouldn’t the computer industry be any different? This shouldn’t have been a surprise to anybody. But it seemed to be, and a lot of people thought I was nuts when I said these things. And that’s why we’re out there alone as a consolidator. I’ve run engineering since day one at Oracle, and I still run engineering. I hold meetings every week with the database team, the middleware team, the applications team. I run engineering, and I will do that until the board throws me out of there. I’m also involved with all of the acquisitions and overall strategy. Now it’s true, I don’t run operations. But I’ve never really run operations. I’ve never had the endurance to run sales. The whole idea of selling to the customer just isn’t my personality. I’m an engineer– tell me why something isn’t working or is, and I’m curious. In some ways, getting away from headquarters and having a little time to reflect allows you to find errors in your strategy. You get to rethink things. Often, that helps me correct a mistake that I made or someone else is about to make. I’d rather be wrong than do something wrong. We have Monday meetings for all of the product division heads–two meetings on Monday. One is the field, if you will, and financial. We look at where we are in the quarter. [At the] second meeting are all of the product guys. I chair that meeting. We review everything that’s going on. Then on Tuesday, we have a product division meeting dedicated to database technology. Microsoft’s new revenue model might be ads. – I think that is ridiculous. It is hard to believe that Microsoft has Google envy. We’re in the software business–we don’t do ads. We’re not going to sell ads on top of our database. So what makes me happy? I was really happy to build this house. That’s it. Building things. The trouble with software is that it is very hard to show your aunt in Florida what you’ve done. But what do you think of this building? “Ah, it’s beautiful, I love it. You did such a good job.” Thank you. I love problem solving. How to make the closet bigger in the house I’m designing. I know, it sounds funny. SAP is twice as big. Now, there’s no growth–what do we do? It’s all problem solving. Designing, building, problem-solving. You can’t worry about it, you can’t panic when you look at the stock market’s decline, or you get frozen like a deer in the headlights. All you can do is all you can do. If your cash is about to run out you have to cut your cash flow. CEOs have to make those decisions and live with them however painful they might be. You have to act and act now, and act in the best interests of the company as a whole, even if that means that some people in the company who are your friends have to work somewhere else. The projects, the technology is exciting. The people are even more interested in the technology. No, nor do they have to read The Prince. I’d prefer that they read about Churchill, and how he wasn’t overwhelmed by Nazi Germany. Amazing that the morale of a country rested on one person’s shoulders. Extraordinary how people carried that country through its darkest hour. Truly inspirational. I suppose that’s my theme. Whether it’s a biography or a movie, whether it’s fictional or true, I’m inspired by great people doing great things. I greatly admire GE … their utterly ruthlessly focused management, to get the cost out and get this integration done. ‘OK, we may make a few mistakes along the way but we’re not going to waste any time.’ Make a decision and let’s go. They take risks, they make decisions, they’re incredibly disciplined and focused. You realise life is short and fragile, and when you are facing walls of water you understand your own mortality and how quickly things could change. Five years from now I don’t know how I’ll think. I think after a certain amount I’m going to give almost everything I have to charity. Because what else can you do with it? You can’t spend it, even if you try. I’ve been trying. I think I’m very goal-oriented. I’d like to win the America’s Cup. I’d like Oracle to be the No. 1 software company in the world. I still think it’s possible to beat Microsoft, believe it or not, for us to be a more important company than Microsoft. I think you’ll see us growing much deeper into banking. You might see us acquiring companies in the banking area. You might see us acquiring in the retail area. I think you might see us acquiring companies in telecommunications. I think you’ll see us getting stronger in business intelligence. 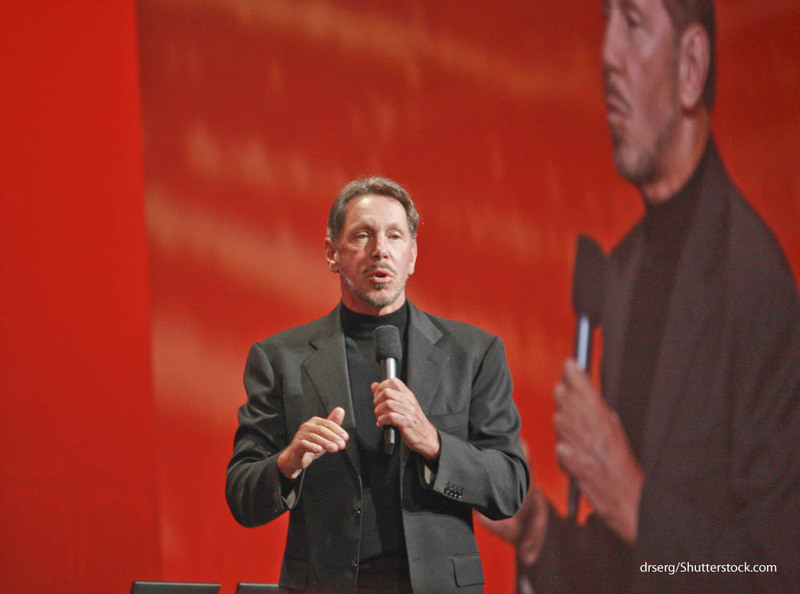 It’s my job for Oracle — the number two software in the company in the world — to become the number one software company in the world. My job, is to build better than the competition, sell those products in the marketplace, and eventually supplant Microsoft and move from being number two to number one.